This visual illustrates the 1st course of polystyrene and plastic framework in place. Note how the proprietary corner sections keep the corner at right angles. 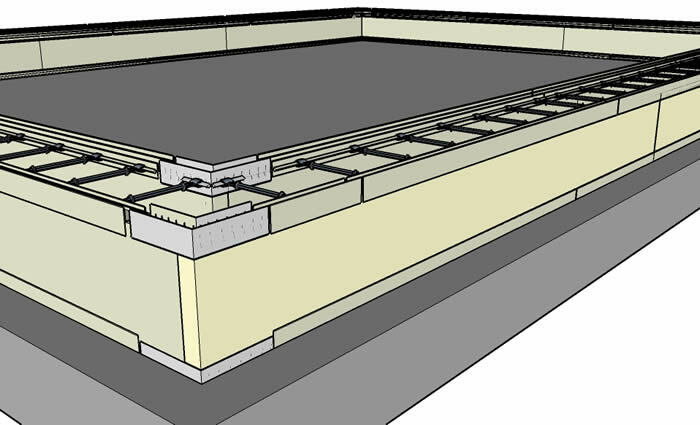 Polystyrene will be subsequently placed inside the top course of H-Rail and the wall will be continued, alternating plastic and foam until the desired wall height is reached.